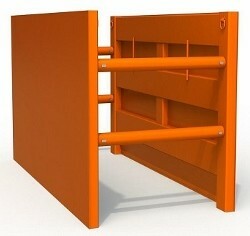 The ShoreLite Lite aluminum trench box is a great choice for a modular trench protection system. The panels are constructed from light weight aluminum with folds and bends in the panel for increased strength. This design feature has the benefit of of improving the depth rating to 14 feet in Class C Soil. 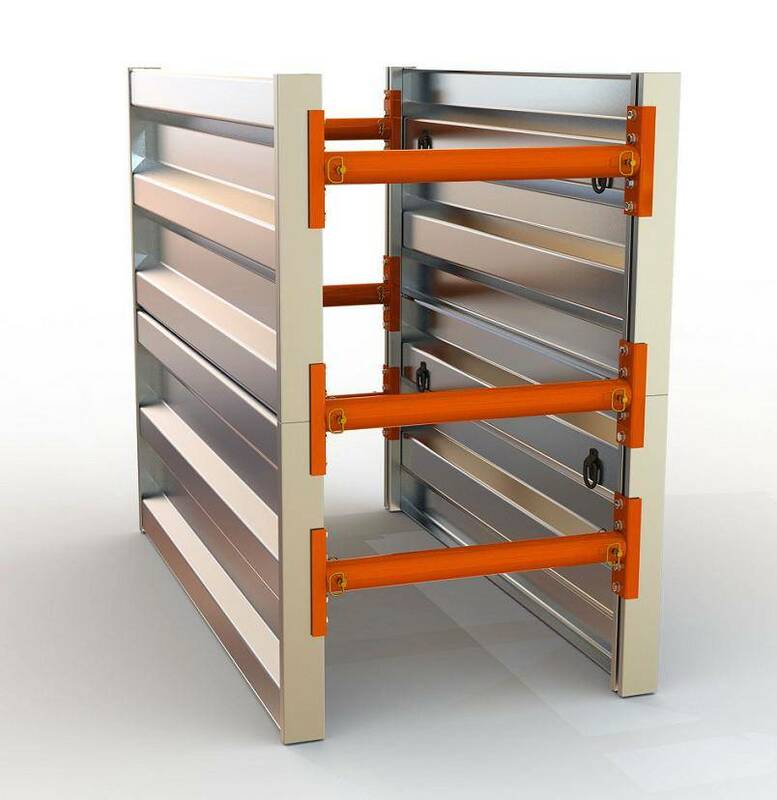 This trench shoring system consist of stackable single wall aluminum panels. Each panel is three foot tall and available in lengths of five, six and seven feet. Financing for your equipment purchase is available from Direct Capital. They are designed to provide ease of use and adaptability for multiple small excavation demands. The size of these panels make this system ideal to be transported in the bed of pickup and assembled as needed on the job site. They are typically sold in 3, 6, and 9 foot tall kits. However they are rated for 14′ in class C soil. 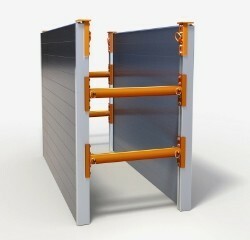 So, they can be used in sections up to four panels high in class C soil for a total height of 12′. Additionally, if the soil conditions allow, the optional leg kit can extend the height of your trench shield by two feet. The leg kit turns the three foot system into a five foot system with two feet open on the bottom for crossing utilities. This feature makes the ShoreLite Lite a popular choice among municipalities and plumbers. Another available option is using a wheel kit that is mounted at the top of the trench box. This wheel kit also keeps the shield off the bottom of the trench. Utility crews find this helpful in sliding the system along the trench line when working on a longer run of pipe. 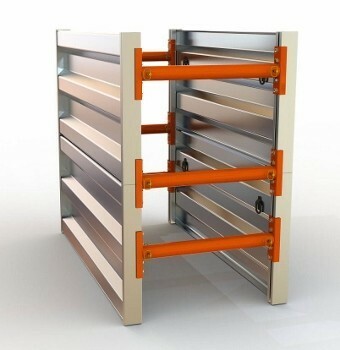 When working in tight areas where sloping back the open ends is not practical, corner connectors and additional panels can be used to make this a three or four sided system. Assembly of the system is very simple. The panels are attached to each other using the spreader socket mounting plates. This feature eliminates the need to keep track of excess pins commonly used in other manufacture designs. The width of the system is determined by the spreader width. Fixed width spreaders are available in just about any size you might need. Some common sizes include 24 inches, 30 inches, 36 inches, 42 inches, and 54 inches. However, we if you need another size, just let us know. Optional spreader adjusters slide inside of the fixed width spreader pipe allowing for adjustments in width every six inches. For example the 30 inch spreaders with adjusters will allow for additional settings of 36, 42, 48 and 54 inches.